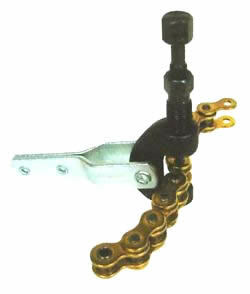 For 420 to 530 chain, the Motion Pro chain breaker is second to none in quality construction and is super easy to use. This tool has been a staple of the Tryals Shop toolbox and comes highly recommended. We have used many chain breakers in our day. Simply put... this one actually works.